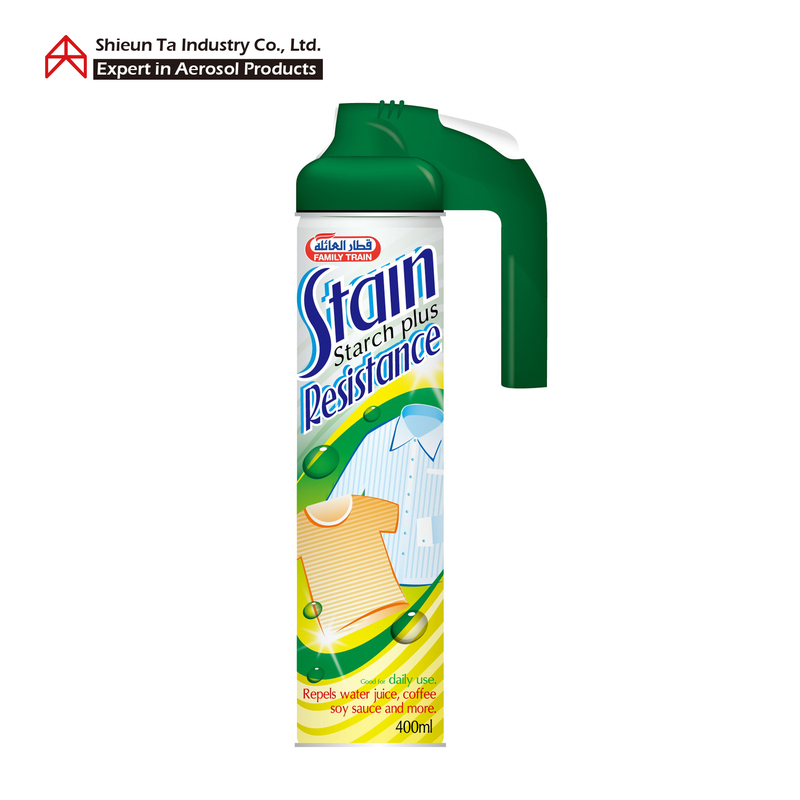 ﻿ Shieun Ta Industry Co., Ltd.
Shieun Ta Industry Co., Ltd. established in 1981. 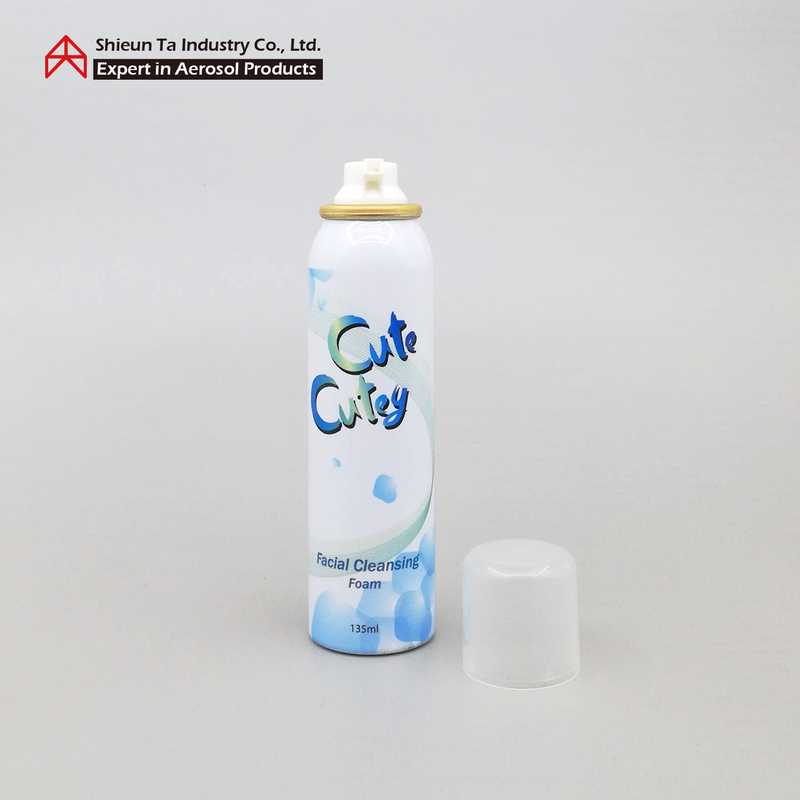 We're professional in aerosol product design, OEM, and ODM, we also provide the professional suggestions for product accessories combined. 80 % of our products export to U.S., Middle East, Japan, Hong Kong, China etc. In 1996, our factory transferred to Yingge district due to capacity need. With commodious space, elevating capacity, human resource, facility upgrading; we provide integrity service and enormous capacity; persist product in best quality. Our spiritual goal is carry on the "honest, create, and care", and outstanding and business of excellent quality and best service. Shieun Ta not only provide service to meet customer's request but also assist to extend product's value. 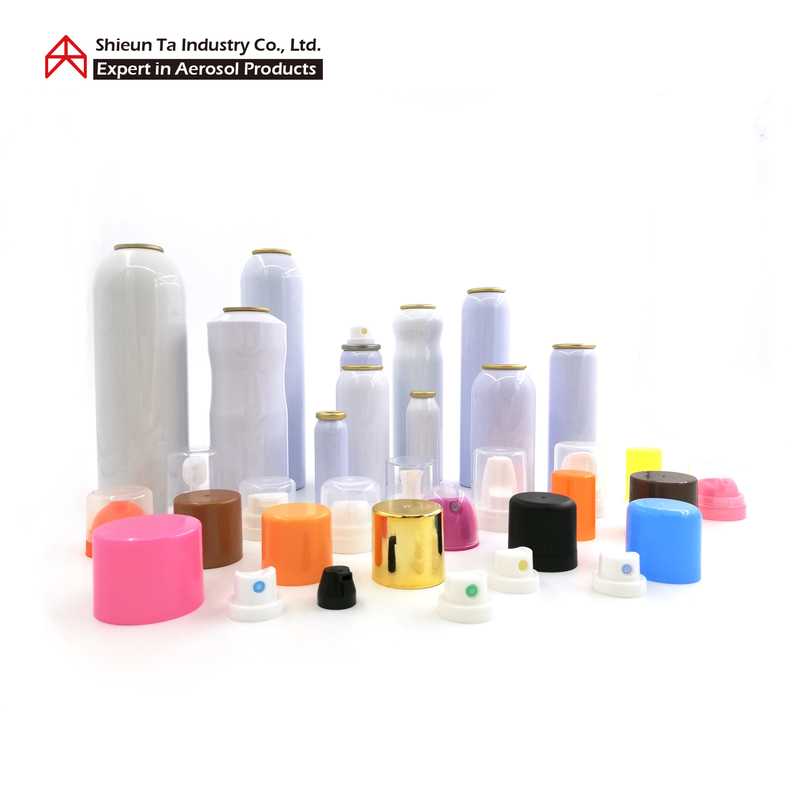 Shieun Ta is the expert of manufacturing/developing aerosol products with 40 years' experience. 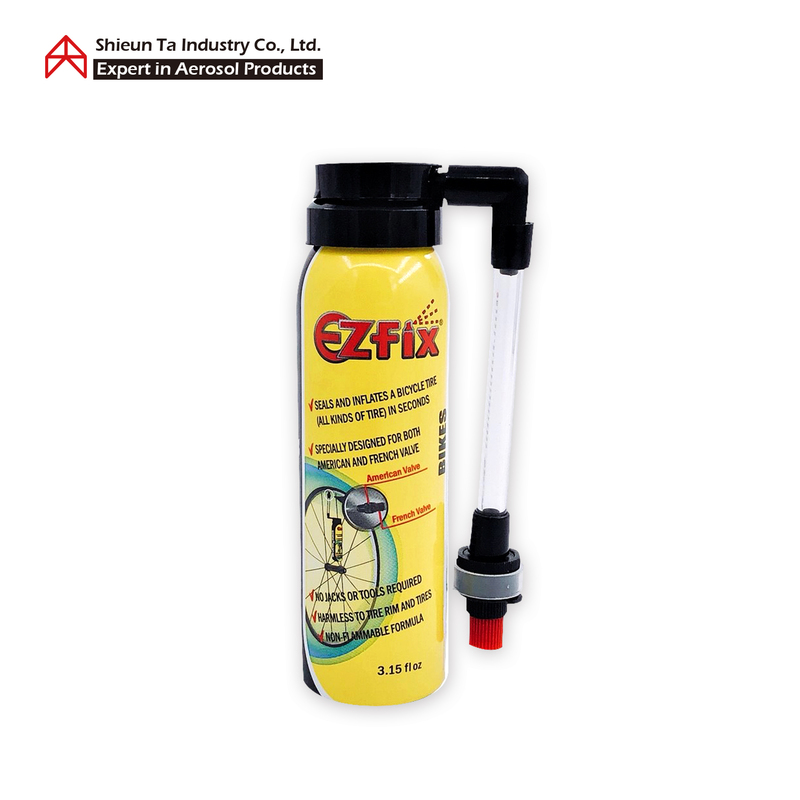 We are proud of the stable and excellent quality of our products. 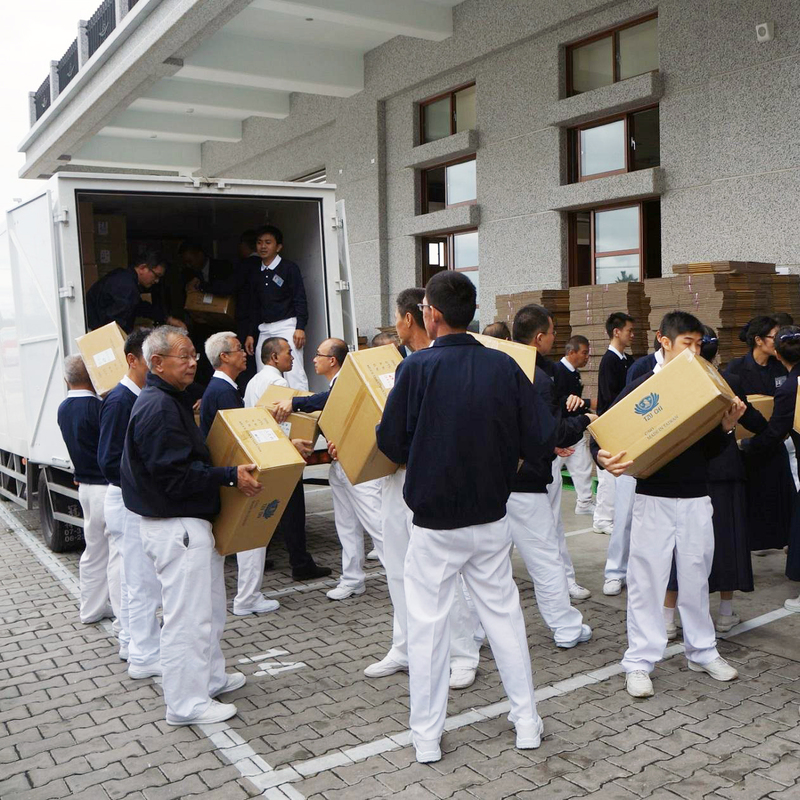 Shieun Ta provides suggestions and customized packing servie to meet customer's need and reduce transport costs. 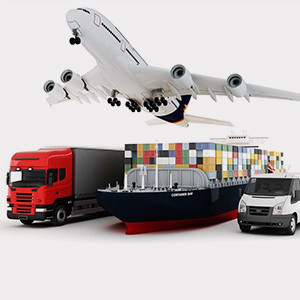 With many years of exporting experiences, we provide shipment to fullfill customer's need. 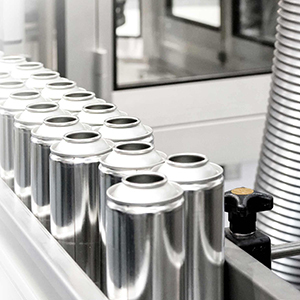 With 35 years experience & PhD RD team, Shieun Ta can provide high quality products you need, help you to create the perfect Aerosol products. 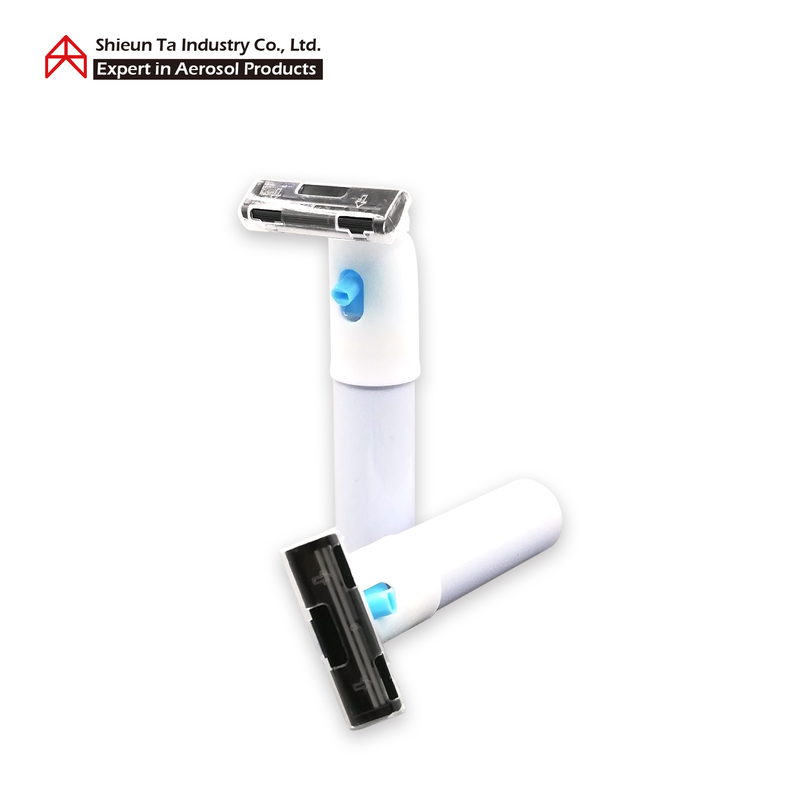 We provide professional OEM/ ODM service. 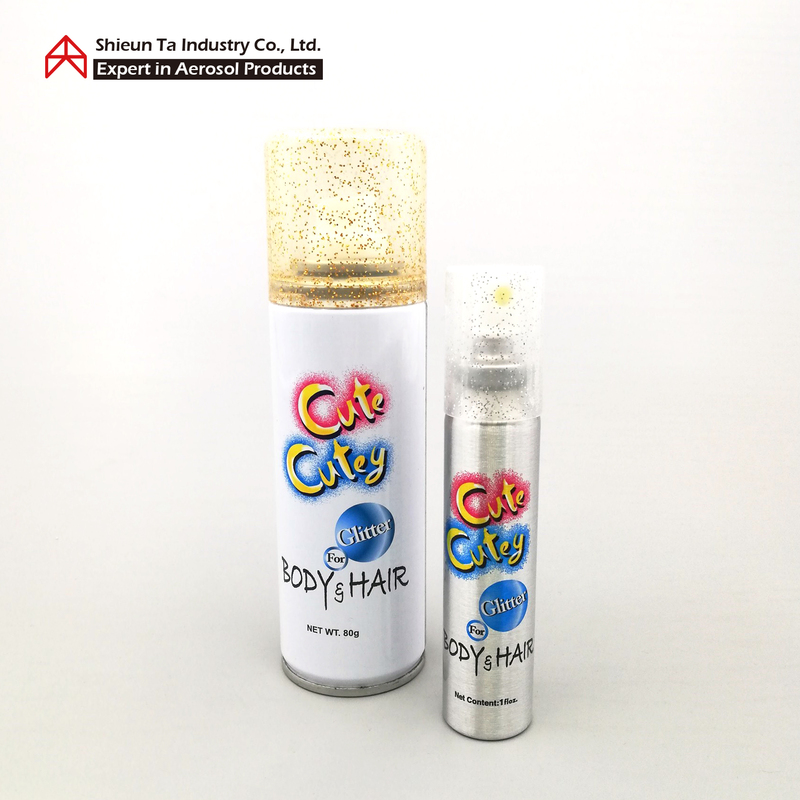 Personal product: Body & Hair Glitter Spray, Facial Cleansing Foam, Deep Cleansing Mousse, Stocking Spray, Shaving Foam, Moisture Spray, Cooling spray, Sunscreen spray, Nail paint spray.....etc. 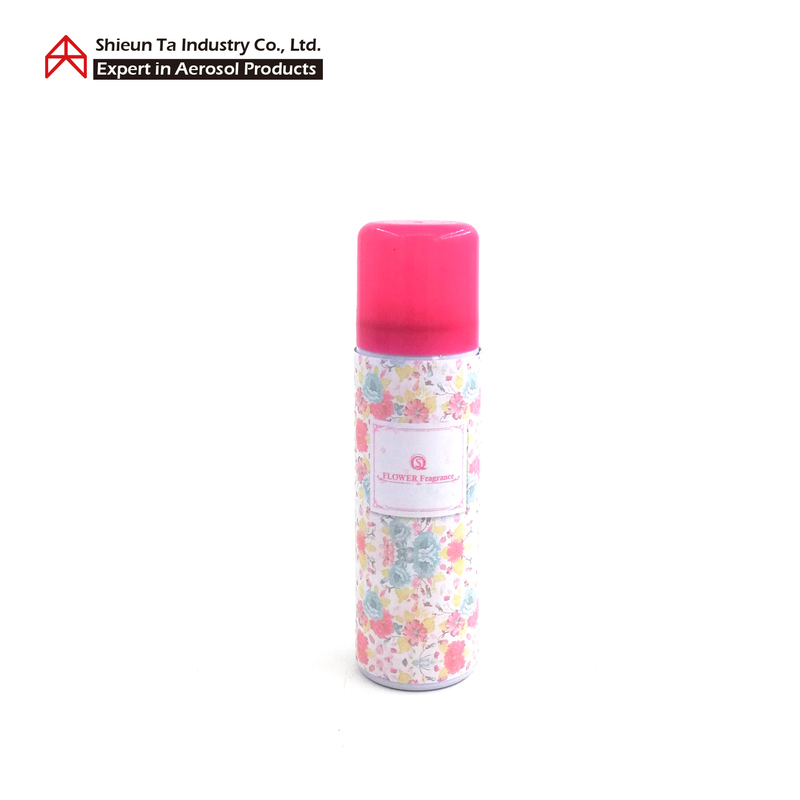 Household product: Carpet Shampoo, Spray Starch, Wax Spray, Lock Deicer, Air Freshener...etc. energy saving and carbon reduction. 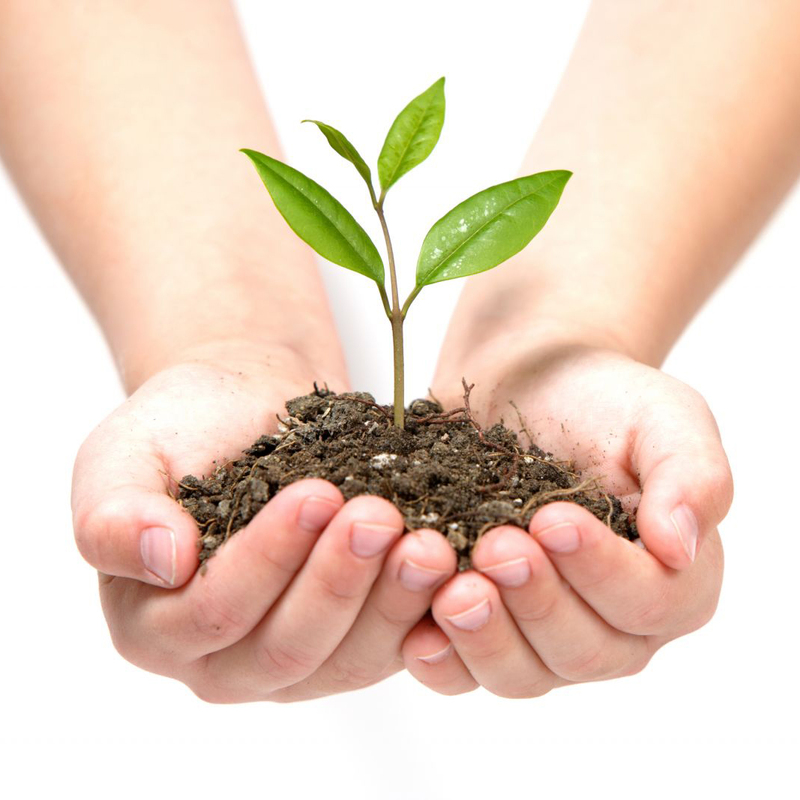 Fullfill entrepreneur obligations actively take care of employees. No.34-12, Ln. 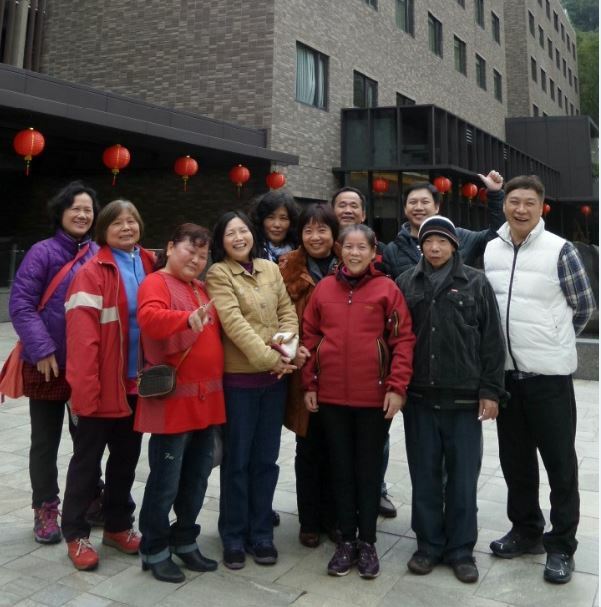 194, Zhongzheng 3rd Rd., Yingge Dist., New Taipei City, Taiwan, R.O.C. 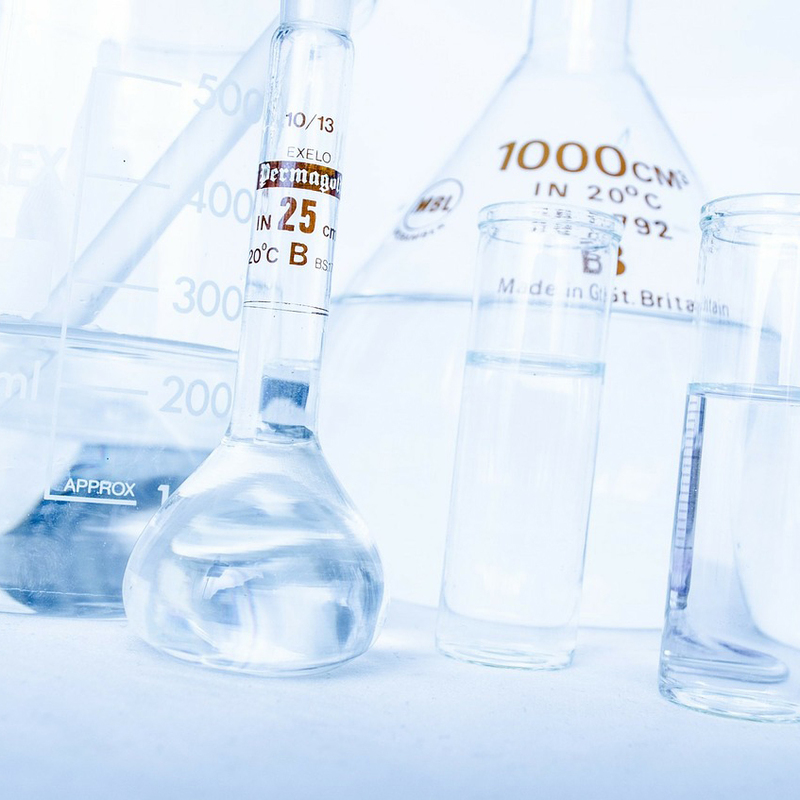 surfactant formulation. Very easy to apply, and will leave the skin clean, smooth, and soft. A make-up remover for all skin types. 1. Water face, shake can well. 2. Hold upside down, apply sufficient of foam on your palm, then rinse and wash with water thoroughly. A gentle, oil-based foaming cleanser and make-up remover made with the finest oil and unique mousse formulation. 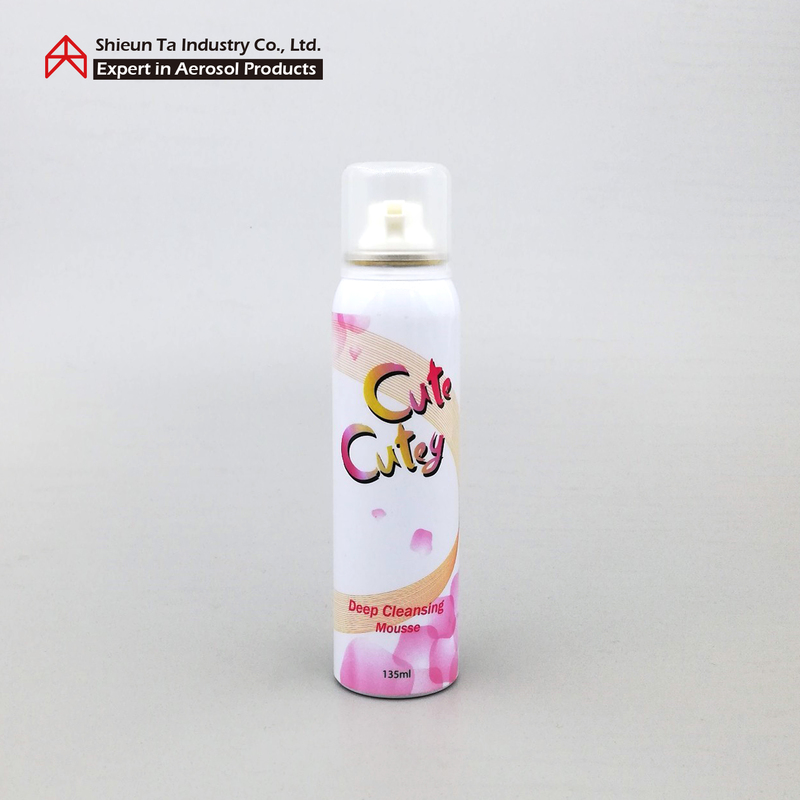 Very comfortable to apply and will remove even thick stage-makeup easily and effectively, leaving the skin non-greasy yet beautifully soft and moisturized. 2. Apply sufficient of foam on your palm, and rub over make-up thoroughly. 3. Simply wash off with water and soap. Like a spring blossom, the sky is surrounded by butterflies. Are you always worried about your body smelling when you are dating? When you take the MRT, the crowd is far away from you? When winter is coming, the clothes smell a musty smell. 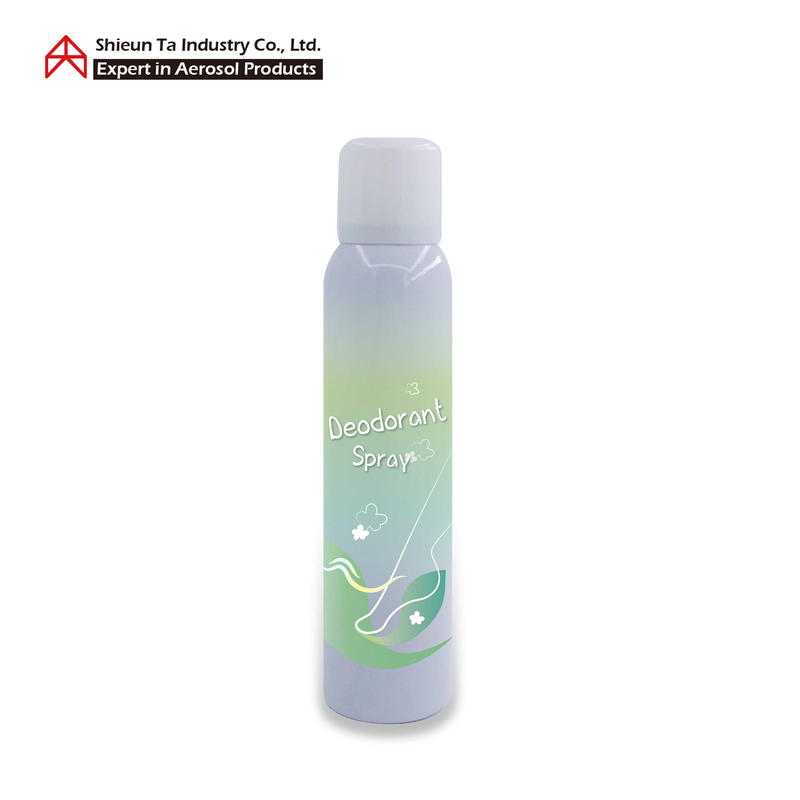 Let the Body deodorant spray help you in one can. When the hero saves beauty, his manly fragrance. Entrancingly fragrant of the date. Shieun Ta helps you with customized service. It is not only a perfect product to fix your dull hair, but it also provides efficient cleaning, and eliminate greasy odor. When you finished outdoor activities or on the way to a date after hard work. Dry shampoo is your best choice to bring you the clean, fresh and stylish. Every afternoon, the hair is easy to get oil. Every time I finish my exercise, I always stick my hair.